Pwnie Express Unveils Next Generation State-of-the-Art Pwn Phone 2014. 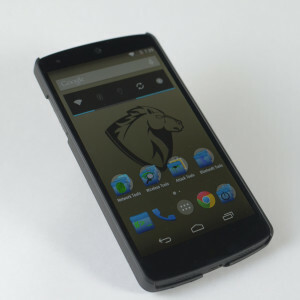 Earlier this week, Pwnie Express revealed the next generation of its game-changing Pwn Phone, a cutting edge sleek phone that doubles as a powerful penetration testing device making it incredibly easy to evaluate wired, wireless and Bluetooth networks. The leader in vulnerability assessment and penetration testing devices, the Pwn Phone 2014 is the most portable pen testing device yet. Its custom Android front-end and one-click pentesting applications and software updates make it the ideal choice for pentesters who are on the road or conducting a company or agency walk through. By adding this quick and easy-to-use device to their arsenal of devices, I can do fast penetration testing of both wired and wireless networks all from my pocket. More than a 1000 enterprises across verticals including retail, finance, health, and manufacturing as well as service providers and government organizations rely on Pwnie Express to know who and what is accessing their networks.